Each year, 33.1 million people are injured by consumer products in the home. Some hazards are from products that have been around for years; others come from new products and technologies. To keep Americans informed of dangers, the U.S. Consumer Product Safety Commission (CPSC) has identified the Top Five Hidden Home Hazards – associated with products that people may be using everyday, but are unaware of the dangers that they can cause. According to the U.S. Consumer Product Safety Commission (CPSC), simply being aware of these Top Five Home Hazards can save lives and prevent life‐altering injuries. #1: Magnets Today’s rare‐earth magnets can be very small and powerful—making them popular in toys, building sets and jewelry. As the number of products with magnets has increased, so has the number of serious injuries to children. In several hundred incidents, magnets have fallen out of various toys and been swallowed by children. Small intact pieces of building sets that contain magnets have also been swallowed by children. If two or more magnets, or a magnet and another metal object are swallowed separately, they can attract to one another through intestinal walls and get trapped in place. The injury is hard to diagnose. Parents may think that the materials will pass through the child without consequence, but magnets can attract in the body and twist or pinch the intestines, causing holes, blockages, infection and death if not treated properly and promptly. Watch carefully for loose magnets and magnetic pieces and keep away from younger children (under age 6)..
#2: Recalled Products To get dangerous products out of your home, parents should sign up for free product recall notices from the CPSC by logging onto www.cpsc.gov. #3: Tip‐Overs Furniture, TVs and ranges can tip over and crush young children. Deaths and injuries occur when children climb onto, fall against or pull themselves up on television stands, shelves, bookcases, dressers, desks and chests. TVs placed on top of furniture can tip over causing head trauma and other injuries. Parents should verify that furniture is stable on its own. For added security, anchor to the floor or attach to a wall. Use anti‐tip brackets for free‐standing ranges and stoves. Remove items left on top of the TV, furniture, and countertops, such as toys, remote controls and treats that might tempt kids to climb. #4: Windows & Coverings Children can strangle on window drapery and blind cords that can form a loop. Parents should use cordless blinds or keep cords and chains permanently out of reach of children. Parents can also cut looped cords and install a safety tassel at the end of each pull cord or use a tie‐down device, and install inner cord stays to prevent strangulation. Never place a child’s crib or playpen within reach of a window blind. #5: Pool & Spa Drains The suction from a pool drain can be so powerful that it can hold an adult under water, but most incidents involve children. The body can become sealed against the drain or hair can be pulled in and tangled. Missing or broken drain covers are a major reason many entrapment incidents occur. Pool and spa owners can consider installing a Safety Vacuum Release System (SVRS) which detects when a drain is blocked and automatically shuts off the pool pump or interrupts the water circulation to prevent an entrapment. Parents should inspect for pool entrapment hazards every time you use a pool or spa, and check to make sure appropriate drain covers are in place and undamaged. The CPSC is charged with protecting the public from unreasonable risks of serious injury or death from thousands of types of consumer products. To report a dangerous product or a product‐ related injury, call CPSC’s Hotline at (800) 638‐2772. These are just a few things you can do to protect your family from injuries in the home. 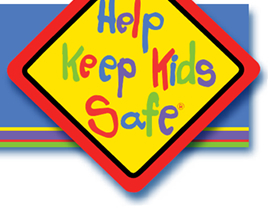 Please visit www.Montlick.com/FamilySafety or HelpKeepKids- Safe.org and click on “Family Safety and Legal Tips,” to see our latest safety videos and downloadable materials, and to register for Free Safety Alerts. These Top 5 Hidden Home Hazards is presented by Atlanta/Georgia Accident Attorneys Montlick & Associates. Montlick & Associates, Attorneys at Law has been committed to family safety and preventing injuries for over 23 years. As a personal injury law firm, we've seen our fair share of situations where children are injured and sometimes killed; and so many times, it could have been prevented. That is why Montlick & Associates has put together this important information to help you protect your family from unsafe products inside the home. We want to help make your home a safe place for your family.